CLIA compliant for prospective testing in clinical trials. Enabling you to evaluate multiple biomarkers from one sample. Almac Diagnostic Services has invested in the validation of this CLIA compliant assay and the full validation report is available on request. This Almac Diagnostic Services clinical trial assay will provide Pharmaceutical and Biotech companies with a new option in the marketplace to support their clinical trials and CDx development. 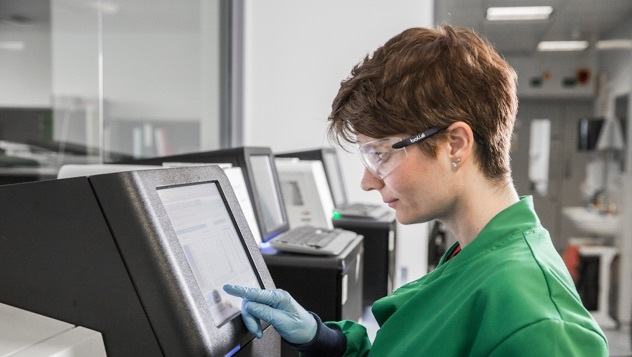 The assay, based on the Illumina TruSight® Tumor 170 chemistry and NextSeq platform, allows multiple biomarkers to be evaluated from one sample, thereby reducing the quantity of precious tissue sample necessary and offering a highly cost effective solution that will ultimately be kit-able further downstream. Almac Diagnostic Services offer clients powerful reporting for the assay through our own bioinformatics pipeline and software solution providing enhanced variant call reproducibility, accuracy and QC. Contact us today to discuss your requirements for future clinical trial enrichment. Almac Diagnostic Services also offer Illumina TruSight® Tumor 170 panel as a research use only (RUO) assay. Should clients need further RUO interpretation of detected variants, Almac can offer ‘IBM – Watson for Genomics’ reporting for processed samples. The Almac Illumina TruSight® Tumor 170 Clinical Trial Assay is a Next Generation Sequencing (NGS) assay that targets DNA and RNA variants from the same sample. The assay covers 170 common cancer genes including key actionable mutations across multiple cancers. Further information, including the full list of cancer genes, can be found on the following assay summary sheet. 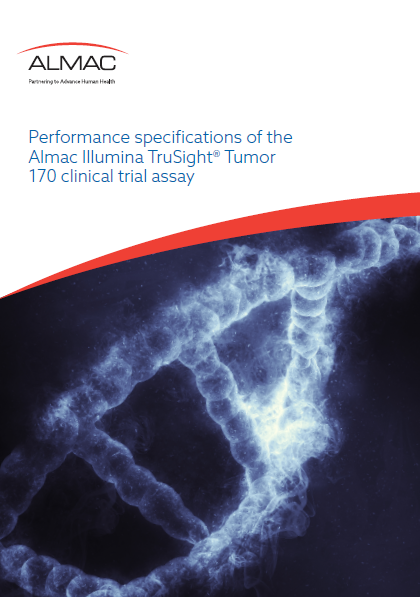 Almac Diagnostic Services - Illumina TruSight® Tumor 170 - Validated Assay: Enabling Biomarker Led Clinical Trials and CDx Development. Almac Diagnostic Services were selected as one of Illumina’s key Beta Test sites for TruSight Tumor® 170. This facilitated early access prior to commercial release. We have built up a vast amount of experience with the assay that Pharma and Biotech partners can benefit from.